Situated in San Angelo, this motel is within 1 mi (2 km) of San Angelo Visitor Center, Railway Museum of San Angelo, and Santa Fe East Park. Fort Concho National Historic Landmark and Foster Field are also within 2 mi (3 km). 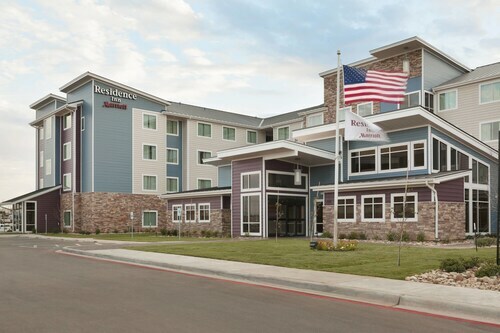 Situated in the historical district, this hotel is within 2 mi (3 km) of Chicken Farm Art Center, Santa Fe East Park, and San Angelo Visitor Center. The International Water Lily Garden and Shannon Medical Center are also within 2 mi (3 km). 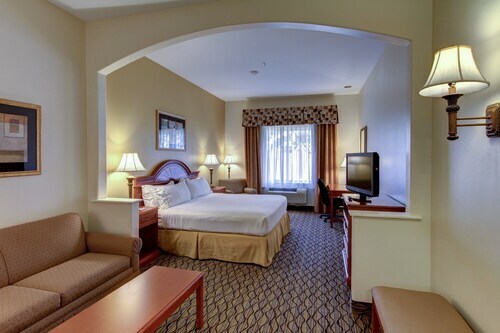 Situated in San Angelo, this hotel is 0.9 mi (1.4 km) from Sunset Mall and within 3 mi (5 km) of Angelo State University and Angelo State University Planetarium. San Angelo High School Stadium and Foster Field are also within 3 mi (5 km). 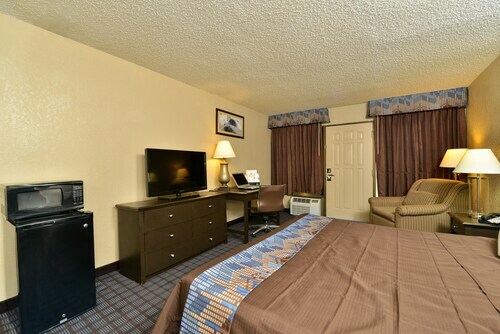 Situated near the airport, in San Angelo, this hotel is close to Sunset Mall, Angelo State University, and San Angelo Nature Center. Area attractions also include San Angelo Visitor Center and Fort Concho National Historic Landmark. 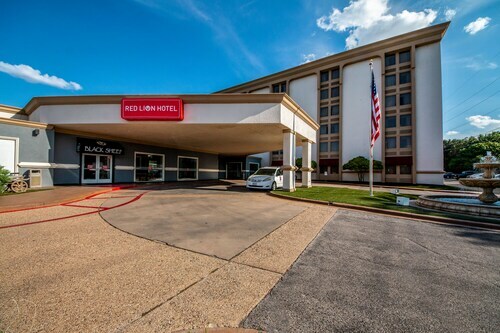 Situated in a shopping district, this hotel is within 3 mi (5 km) of Angelo State University, Angelo State University Planetarium, and The International Water Lily Garden. San Angelo High School Stadium and Foster Field are also within 3 mi (5 km). 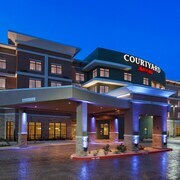 Situated in San Angelo, this hotel is 1.1 mi (1.8 km) from Sunset Mall and within 3 mi (5 km) of Angelo State University and Angelo State University Planetarium. San Angelo High School Stadium and Foster Field are also within 3 mi (5 km). 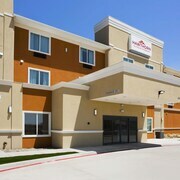 Situated in San Angelo, this motel is within 3 mi (5 km) of Sunset Mall, San Angelo High School Stadium, and Foster Field. Angelo State University Planetarium and Angelo State University are also within 3 mi (5 km). 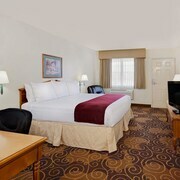 Situated in San Angelo, this hotel is within a 15-minute walk of Foster Field and San Angelo High School Stadium. Angelo State University Planetarium and Angelo State University are also within 2 mi (3 km). 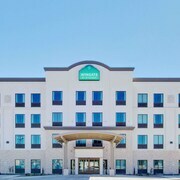 Located in the heart of San Angelo, this hotel is within a 15-minute walk of McNease Convention Center and Shannon Medical Center. San Angelo Museum of Fine Arts and Fort Concho National Historic Landmark are also within 1 mi (2 km). Are you looking for a break from the hustle and bustle of your day-to-day life? Do you want to escape reality and forget about your never ending to-do list? 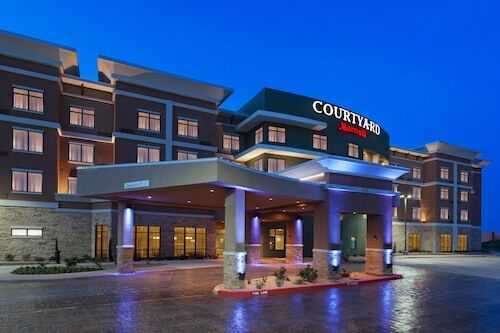 Then why not treat yourself to a relaxing stay at one of the spa hotels in San Angelo? Whether it is for a weekend getaway or a staycation, book your visit to one of the San Angelo luxury spa hotels. With all of the amazing things to do around San Angelo, you will likely be worn out from sightseeing. 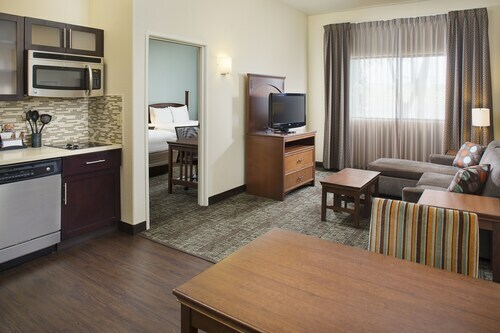 The San Angelo spa hotels provide top of the line facilities with hot-tubs, saunas and private treatment rooms. Treat yourself to an indulgent hot stone massage or facial to rejuvenate from a busy day. If that's not enough for you, indulge in a full day-at-the-spa package. And maybe you are just looking to reach maximum relaxation before a fancy night out on the town. Take advantage of the salon features offered at most San Angelo spa hotels and get a mani-pedi before your evening begins. Travelocity wants to help you relax and rejuvenate during your next stay in San Angelo, but we know that spa treatments can put some strain on your wallet. Bundle your hotel and flight together and save enough to pay for your facial! 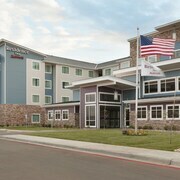 It was a great place to stay on our road trip! Everything looked nice and clean. The workers were nice. Clean and comfortable room and such a good idea to put ice & vending on all floors. Really comfortable beds! The check in person was friendly and answered all questions with knowledge. Great breakfast too! The bed and pillows were wonderfully comfortable. The hotel was so quiet that it was as if we were the only ones there! We did not have breakfast at the hotel but the eating area looked very spacious and was set up for more than just cereal and yogurt. 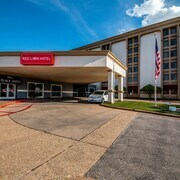 This property is located next to a popular restaurant named The Cork and Pig. We enjoyed a delicious meal there (the portions were huge!). 4.0 It was good, even the internet was good. Nothing extraordinary but everything was good, clean beds, good tv reception, internet connectivity; clean restroom, shower worked good.